You love your truck. 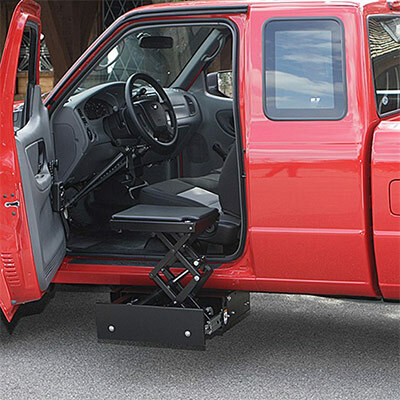 Now Bruno’s Stow-Away power transfer seat helps you get in and out of it without any modifications to the cab. Keep all the space and features you enjoy. The Stow-Away discreetly hides under the truck in a sealed, rugged drawer. Press a button and the drawer opens and stops to your right transfer height. Once on the seat, press the same button and the seat continues raising to the cab.